If you like to find the unknown winery, the small production winery or just meet new winemakers, then the Garagiste Festival is for you. Throughout the year, Garagiste Festival takes place in Paso Robles, Solvang, Los Angeles and now Sonoma. 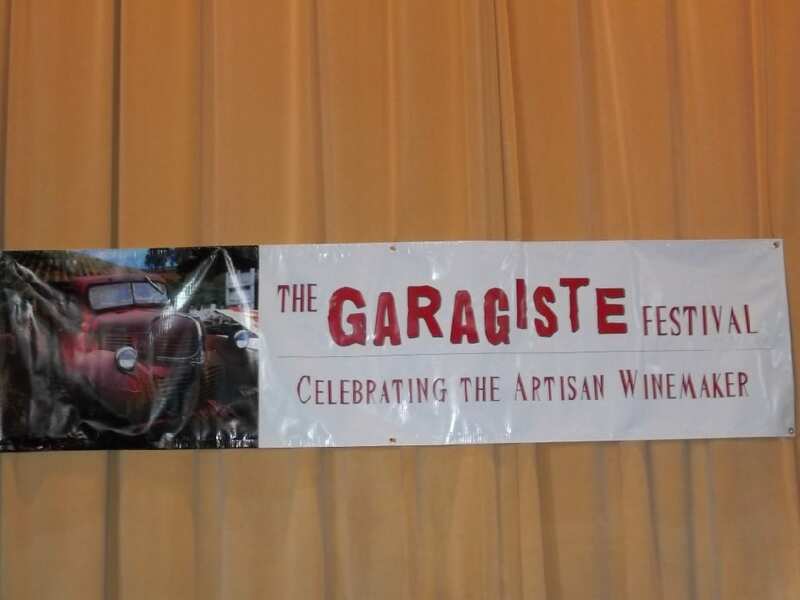 For the second time, Garagiste Festival returns to Sonoma on April 13th and I wrote about what you might and why you might want to go in my recent column in the Napa Valley Register which you can read here. The dream to own a winery and make wine can seem like a fantasy. Land costs in Napa and Sonoma are prohibitive when a vineyard in Napa will cost anywhere from $120,000 to more than $370,000 per acre and a vineyard in Sonoma can cost $70,000 to more than $150,000 per acre. Even if you do not own a vineyard, buying quality fruit in Napa and Sonoma can be costly. In 2016, Napa Valley Cabernet Sauvignon averaged $6,829 per ton and Sonoma Pinot Noir averaged $3,678 per ton. But, despite these costs, there are small winemakers out there who are striving to make the best wines possible, even without a venture capitalist behind them. When I first met Eric Titus and Titus Vineyards, I was a sales rep selling his wine. Flash forward 14 years, and now I am a writer. Instead of driving around Los Angeles trying to sell his wine, we sat down so that he could share the story of his family and Titus Vineyards, which is celebrating its 50th anniversary this year. I shared the story in my column in the Napa Valley Register and now share it here. Early in my wine career, I worked as a sales representative for Chambers and Chambers Wine Merchants. With a fantastic portfolio of wines primarily from California and France at the time, I was introduced to many wineries and would spend days working with the different owners and winemakers. One was Eric Titus of Titus Vineyards. It was 2005 when we spent the day together driving around Los Angeles, selling his wine. Titus Vineyards has grown a lot over the last 14 years. When I was selling the wine, it was a young brand. But, as we sat down together recently to taste through current and library releases, I learned that not only has Titus Vineyards grown, they are also celebrating their 50th anniversary this year.